From Dublin Dr. David Keenan qualified as a dentist from the University of Dundee in 2002. He completed General Professional Training as a Senior House Officer in Edinburgh Dental Institute for two years, gaining experience in Oral Surgery, Restorative, Children’s and Prosthetic Dentistry. He then returned to his native Dublin in 2005 and spent seven years working in various Private Practices around Dublin prior to setting up Pembroke Dental Ballsbridge in 2012. During this time he also worked as a Clinical Supervisor in Dublin Dental School. In 2007, Dr. Keenan became a Member of the Faculty of Dentistry at the Royal College of Surgeons in Edinburgh where he gained his MFDS RCS (Ed). Dr. Keenan has an avid interest in Cosmetic and Aesthetic Dentistry and also Smile Design. In 2007/8, he completed a one year postgraduate certificate in London in Cosmetic and Aesthetic Restorative Dentistry under the tutelage of Dr Chris Orr, the UK’s top Aesthetic Dentist and former President of the British Academy of Cosmetic Dentistry. 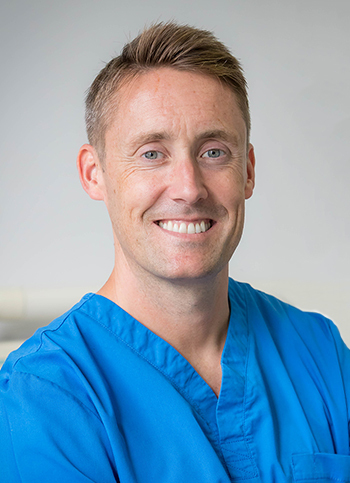 Dr. Keenan has a passion for short term adult orthodontics and is the country’s leading provider of the Inman aligner thee month brace system, being the first dentist to bring it to Ireland in 2008. He is also one of the country’s most experienced providers of Clear aligner (invisible) braces and Six Month Smile fixed braces. He has also recently introduced the ClearSmile brace system to Ireland in 2016. David has also completed a one year certificate in Implant Dentistry in 2014 at the Northumberland Institute of Dental Medicine.in Dublin. He continues to place implants but with our resident Oral Surgeon he now prefers to restore the implants with beautiful crowns. Dr. Keenan has also completed training with the internationally renowned Dr Bob Khanna in his state of the art training centre in Reading, UK to provide anti-wrinkle treatments. David is an exercise fanatic. On giving up club rugby he decided it would be wise to take up triathlon training. He is an 8-year veteran now and is preparing for his first ironman event this year. Dr. André Collins is an associate dentist at Pembroke Dental Ballsbridge. André comes from South Africa where he qualified at Stellenbosch University via Australia and the UK where he has gained more than ten years of experience in private practice. He now lives in Dublin with his Irish wife and children. André’s experience ranges from primary dental care to advanced restorative and full rehabilitative treatment. Here at Pembroke Dental Ballsbridge he offers general and cosmetic dentistry treatments. 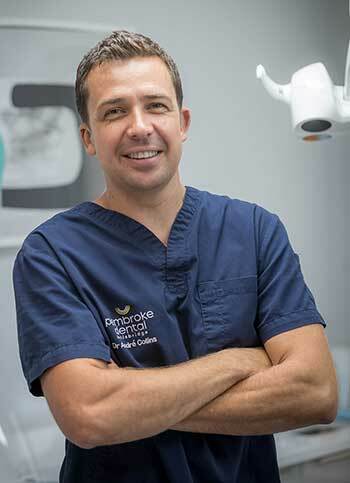 He has a particular interest in dental implants, minor oral surgery and digital dentistry, with extensive experience in providing CEREC restorations which we make and fit in one day at Pembroke Dental Ballsbridge with our in-house digital lab. He will be offering both early morning and late evening dental appointments every week. André is a fan of health and fitness and practices a range of sports! Chloé graduated with an honours degree in dentistry from Trinity College, Dublin. During her studies she was awarded the Entrance Exhibition Award and Dean of Students Roll of Honour Award for her contribution to extra curricular activities. After graduating Chloé worked in private practice for two years before moving to Sydney Australia. Chloé has trained with the Visage Academy in London and is qualified in the administration of Botox and Facial Fillers. In 2016 Chloé completed a Diploma in Primary Care Dentistry and was awarded membership with the Royal College of Surgeons in Ireland. Outside of work Chloé enjoys music, pilates and spending time with friends and family. Dr. Eimear McHugh provides a full range of services in Oral Surgery and Implant Dentistry at Pembroke Dental Ballsbridge in Dublin. She is registered with the Irish Dental Council and is also on the Oral Surgery Specialist List (Irish Dental Council). She is a member of the Irish Dental Association and the Irish Association of Oral Surgery. She is also an examiner in the Royal College of Surgeons of Ireland. Dr. McHugh graduated with Honours from Trinity College Dublin in 2008. Following a year as a House Officer in the Dublin Dental University Hospital, she was employed in the Oral and Maxillofacial Surgery unit in St Richard’s Hospital in Chichester, West Sussex. During this time, she completed her Membership Examinations for the Faculty of Dentistry in the Royal College of Surgeons in Dublin. She also obtained certification in Advanced Trauma Life Support. She then became the Executive Registrar in the Dublin Dental University Hospital and provided Oral Surgery services at the Dublin Dental University Hospital, St. Vincent’s Hospital and Crumlin Hospital for Sick Children. Eimear completed her specialist training over three years at the Dublin Dental University Hospital, where she was awarded a doctorate in Oral Surgery and graduated with First Class Honours. She also successfully completed the Advanced Cardiac Life Support course during this time. Her doctoral thesis was entitled “The role of alcohol in oral cancer.” She has written a number of scientific papers, which have been published in the Journal of the Irish Dental Association and The Surgeon. In 2014, following her specialist training, Dr. McHugh became a Fellow of the Dental Faculty of the Royal College of Surgeons in Ireland. 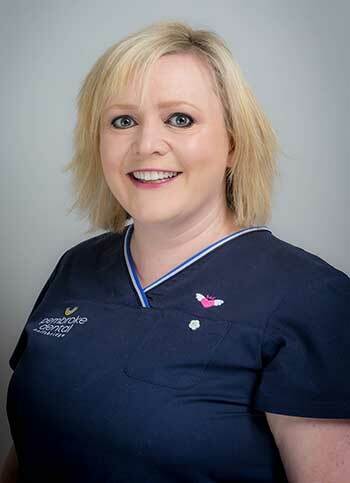 She currently holds a teaching post at the Dublin Dental University Hospital and she is listed on the Consultant Register in the Beacon Hospital and the Mater Private Hospital. Eimear is a keen gymnast and runner and is looking forward to her next race! Lorraine Doyle has been with the Dublin practice since 2008. 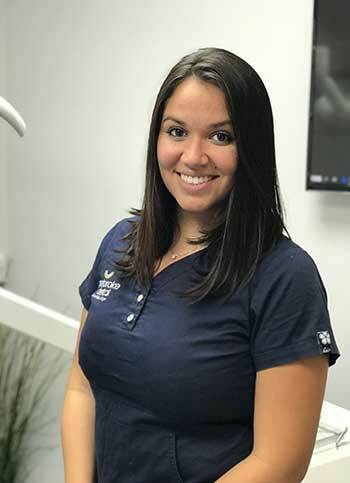 She provides each patient with a tailored routine to help maintain oral health in a way that is both highly efficient and suited to the individual. Lorraine began her dental career in the Dublin Dental School and Hospital where she received a Certificate in Dental Nursing in 2000. Afterwards, she worked in private practice as a Dental Nurse and during this time became particularly interested in the preventive aspects of Dentistry. Lorraine qualified from University College Cork with a Diploma in Dental Hygiene in 2003. She then returned to Dublin where she has gained experience in private practice, including three years with a periodontist (gum specialist). Lorraine is an avid reader and is always ready to recommend a good book to us! Edi moved to Dublin from Rome in 2016. In Italy, after attending a technical high school, she continued on to study Dental Hygiene, eventually completing a Masters degree. She has been working as a Dental Hygienist for 15 years. Her interests include music and travelling. 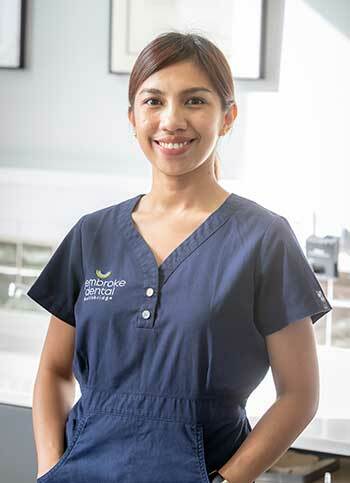 Maricel is a dynamic and highly-trained nurse. She received her Diploma in Dental Nursing in 2010 from Marino College of Further Education. She furthered her studies completing a course in Oral Health Promotion in 2011. Maricel and Dr. Keenan have a long established working relationship having worked together in various practices in Dublin since 2008. Maricel is a keen hockey player! Meg graduated as a dental nurse from Trinity College Dublin and has spent the last seven years working in both general and specialist practices here and abroad. 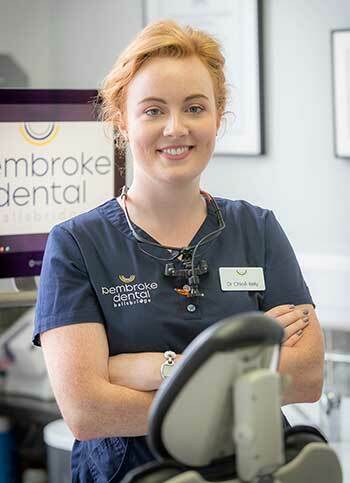 She has just returned from two and a half years of traveling and working in Australia to pursue her career in dentistry and to work in Pembroke Dental Ballsbridge. Meg is excited to recommence her studies in September in Trinity College. Tamires is originally from Brazil and qualified as a dentist in 2013 with a Specialisation in Endodontics and a Masters in Oral Pathology. 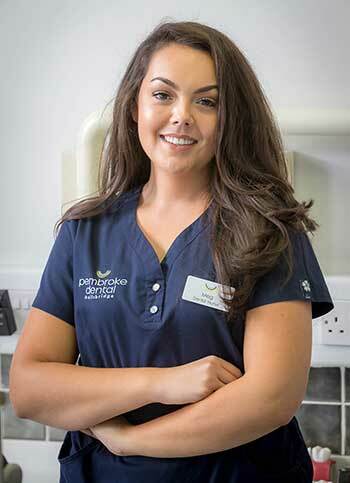 She recently moved to Ireland to improve her english language skills, and works here in Pembroke Dental Ballsbridge as a dental nurse. During her spare time she enjoys exploring Ireland and visiting the many castles and pubs! 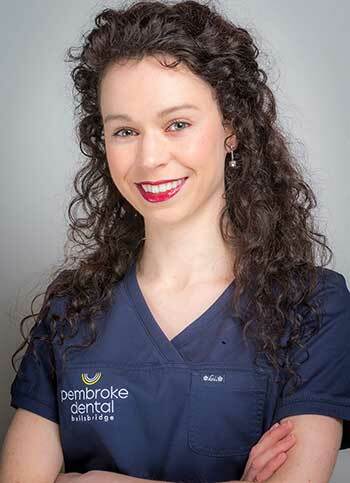 Roxy recently joined Pembroke Dental Ballsbridge as a Dental Nurse. With a background as a clinical nurse and a diverse range of international experiences over 10 years, her positive disposition together with her experience and attention to detail means nothing is ever missed. Roxy is committed to providing patients with the highest standard of care and loves seeing patients leaving the clinic smiling. Roxy is a choir member and can often be heard singing around the clinic. 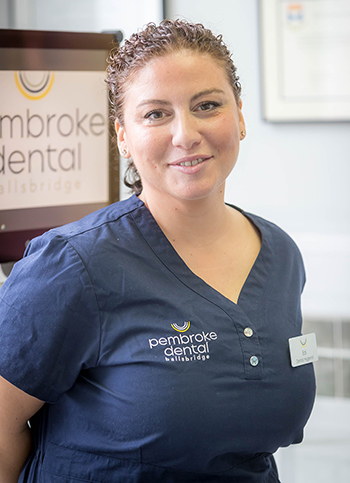 The team at Pembroke Dental Ballsbridge, Dublin, are happy to answer any questions you may have about your treatment. Please call 01 668 3242 to make an appointment or fill out our Enquiry Form.